St. Patrick’s Day blessings to you! 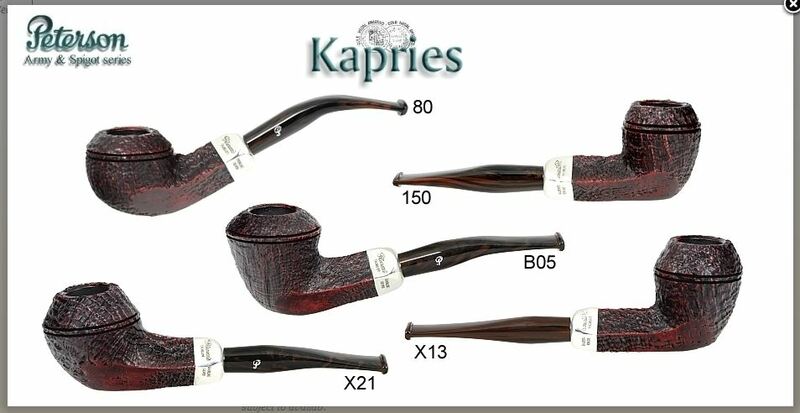 As I finish up the second draft of The Peterson Pipe: The Story of Kapp & Peterson this week, I keep thinking about the long history of what, for lack of a better term, I’ll call their “inclusivity.” The Gaelic word for it is Gart, which seems to mean “generosity, hospitality, open-handedness.” Its literal meaning is “warmth” or “friendliness,” meaning acceptance and openness to other people, giving each their due. 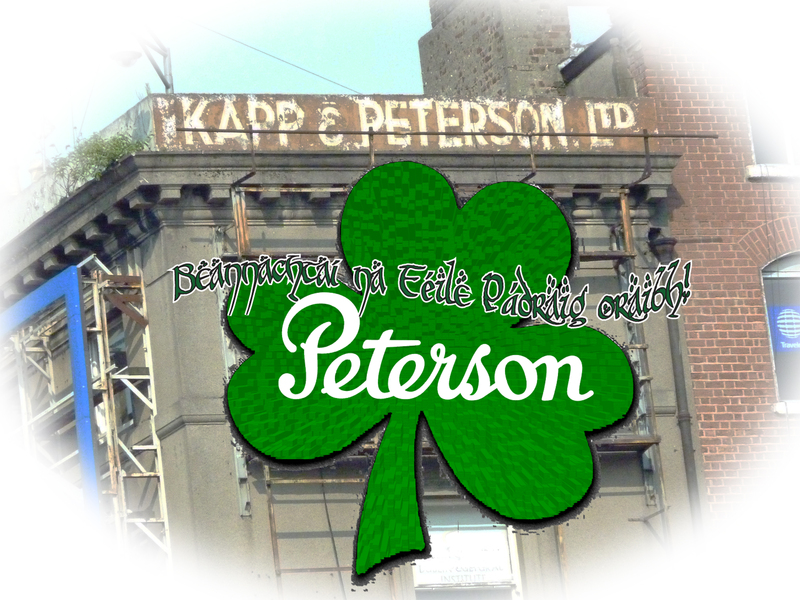 It keeps shining through the interviews and newspaper articles, biographies and anecdotes about Charles Peterson, Harry Kapps, Tony Dempsey, Tom Palmer and many of the people who have worked to make Peterson pipes for more than 150 years. This virtue is seen quite clearly in Peterson’s partnership with Mario Lubinski, their Italian distributor since the late 1970s. Lubinski is an amazing man and the story of how his father founded the business and he continued it deserves to be told, preferably in English for those (like me) unfortunate enough not to know Italian. We’ve got some of Lubinski’s magic (including amazing pipe pix) in the book, but for now let me just say that, after Harry Rogers back in the mid-twentieth century, Mario Lubinski has been Peterson’s most unique trade partner, producing some of the most interesting, unique, and for the U.S. collector, all-but-unknown Peterson lines. 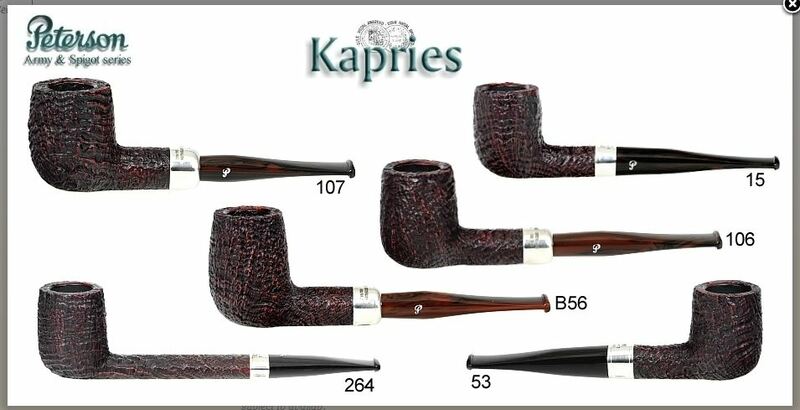 Each year Lubinski, in addition to carrying the regular international Peterson lines, releases a few specialty lines for the Italian market. 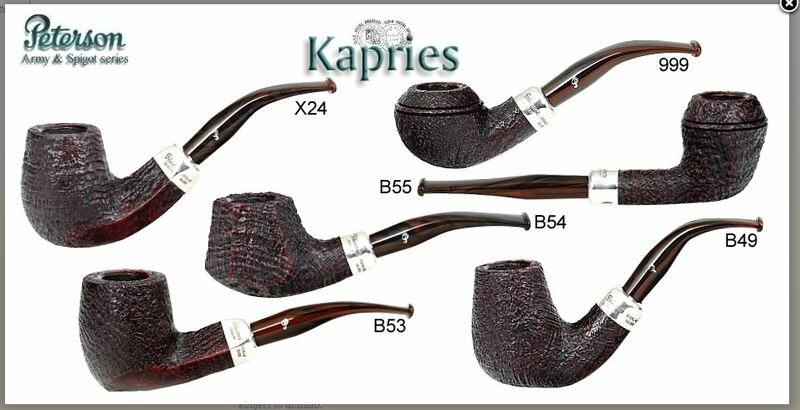 The shapes are drawn not only from the regular Classic Range catalog, but from the B shapes as well – meaning special collections and Pipe of the Year shapes. I want to begin with a look at the special Lubinski lines for 2013, as these are becoming a bit scarce and there may be someone who needs to fill a slot in his rotation with one of these beauties. The Lubinski special lines are invariably sterling-mounted with acrylic stems and usually (but not always) a blast finish. Sometimes you’ll see a high-grade from Lubinski, issued in an orange stain with a smooth finish, like the Kapp-Royal. 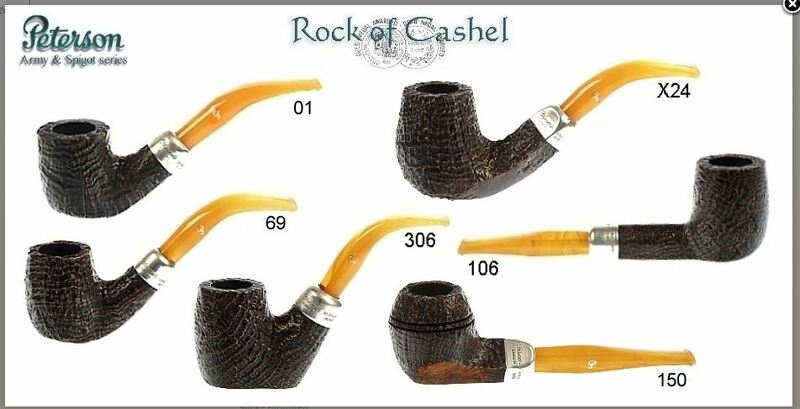 From the business side, the idea (if I understand it correctly) has to do with the fact that Peterson will always have bowls left over from a special collection or Pipe of the Year and needs to “place” them, as it were. We see this here in the U.S. in the special shapes sometimes issued in the St. Patrick’s Day or Christmas series, like the recent incredibly cool Large Tankard from the Mark Twain set, which appeared in the St. Patrick’s Day 2016 collection. The only possible down-side of the Lubinski special issues for some aficionados is the acrylic stems. I don’t mind an occasional acrylic and have a few Petes with them in my rotation, even though I prefer the softer, more comfortable ebonite. The upside of the Lubinski lines is that they are unique, always interesting, produced in small quantities, rarely seen in the U.S., and once they’re gone, they’re gone. It seems like the lines generally disappear about two years or after release, unless they catch on and become a staple at Peterson, at which point they are often imported to the U.S. 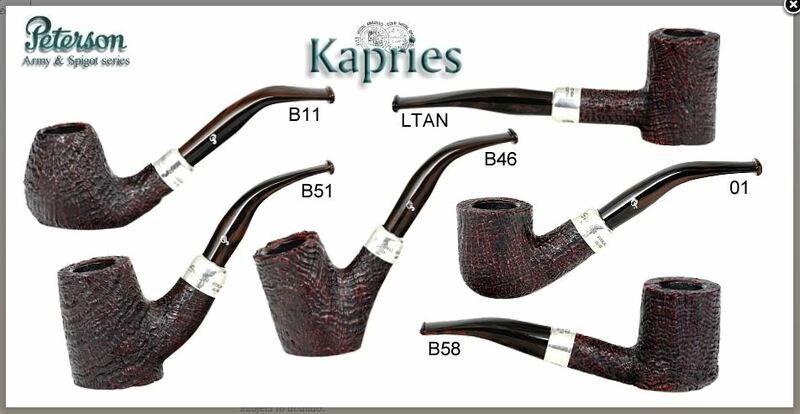 The banded Aran line is one example of a runaway success and the Kapp-Royal is another. 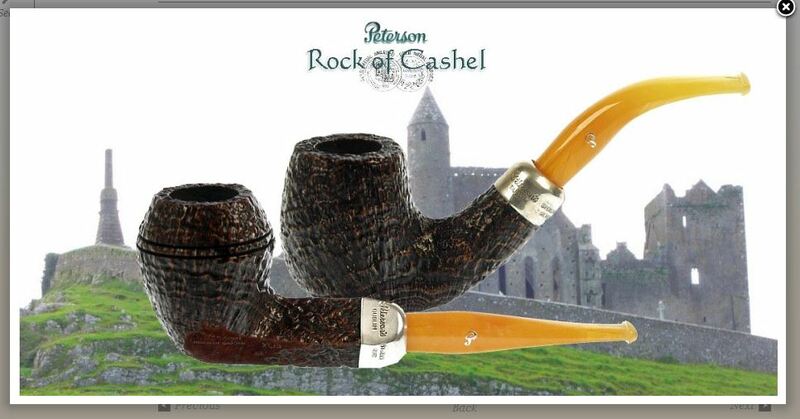 For 2013, Lubinski released three special lines: the Black Rock, Kapries and Rock of Cashel lines, as well as the Maigret shape 107 commemorative, the Fisherman and the Hunter / Golfer pipes. Peterson line names almost invariably come from some place on the map in Ireland. Blackrock is a suburb of Dublin just northwest of Dún Laoghaire and fairly close to the Peterson factory in Sallynoggin. 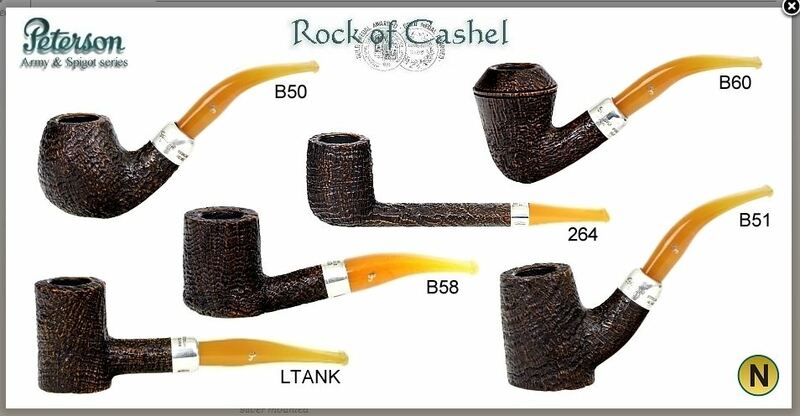 B54 – the LT or “Large Tankard” which was issued first as the corncob homage in the Mark Twain set a few years back and has just been released as the sole special shape for the 2016 St. Patrick’s Day pipes. 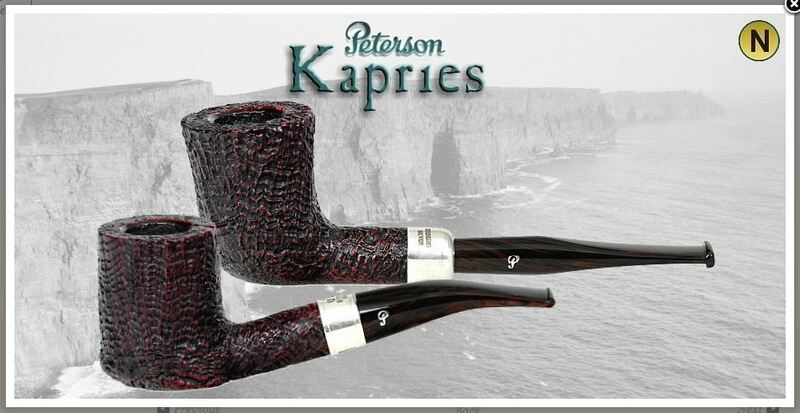 I’m spoiling a bit from the book, so don’t tell my publisher, but the Kapries name is recycled from the 1970s and is one of the few non-Irish line names in the Peterson catalog. 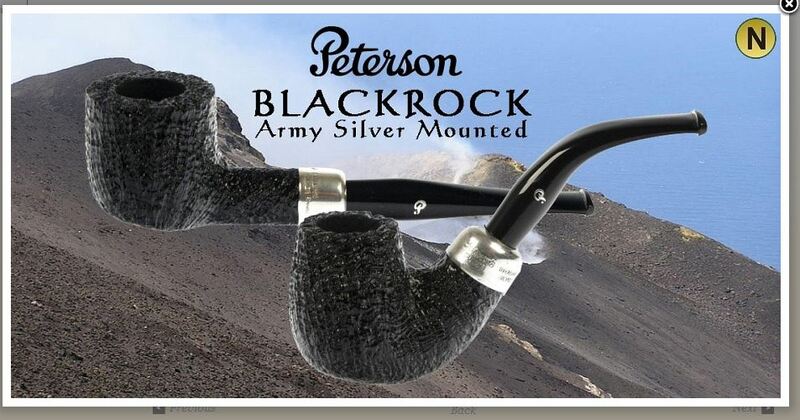 If you look at the word carefully, you’ll see it contains the last name of a well-known U.S. tobacconist who used to be interested in Peterson. X55 – the straight bulldog from the Molly Malone collection. I confess I love Maigret the detective, more perhaps in the BBC adaptations with Michael Gambon even than in the original Georges Simenon novels. In any event, the Italian series from 1964-1972 starring Gino Cervi is iconic Italian TV, and it was a moment of inspiration that led Lubinski to use the Classic Range 107 billiard to give homage to both Cervi and Maigret. 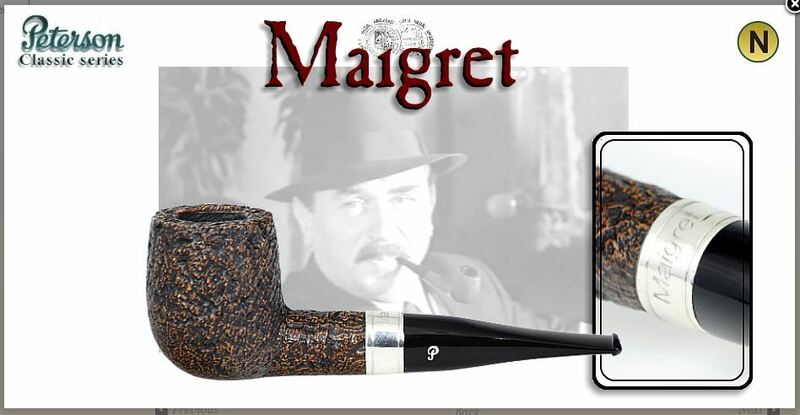 The commemorative is one of my favorite Lubinski releases, with sterling band engraved “Maigret,” hot foil P stamp and black fishtail acrylic mouthpiece. Lubinski wrote me that he personally selects each bowl, which is one reason there have been so few (around 300 at the time he wrote me). A short-stummeled, short saddle-stemmed version of the B47 or Oscar Wilde, from the Writer’s collection, this is an attractive-looking Dublin, and who knows better how to make them than Peterson? 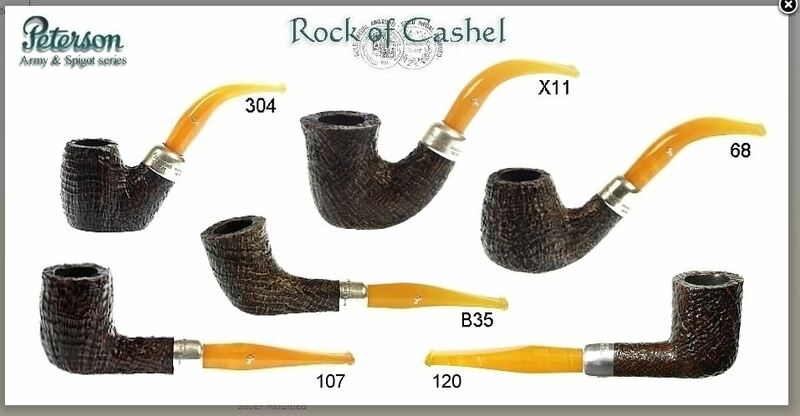 (I was a little taken aback, incidentally, when I read on a well-known e-tailers site that the Dublin was “an English shape.” Hmm, is there a “Dublin, England” I don’t know about?) 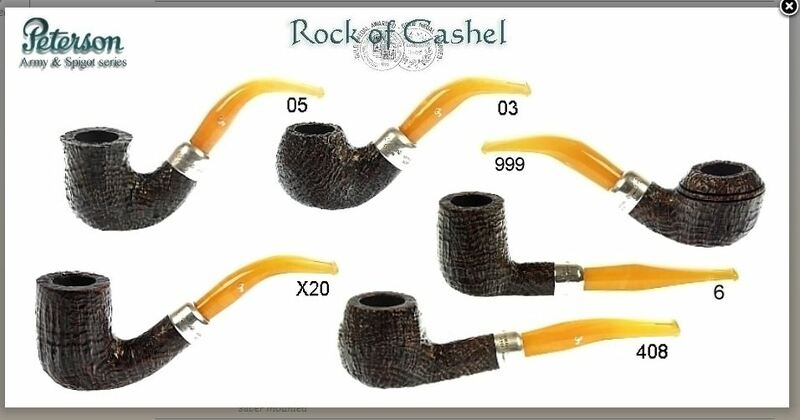 Anyway, Lubinski released it in the Rock of Cashel finish, but with a black P-Lip ebonite stem, one of the few such in his lines. 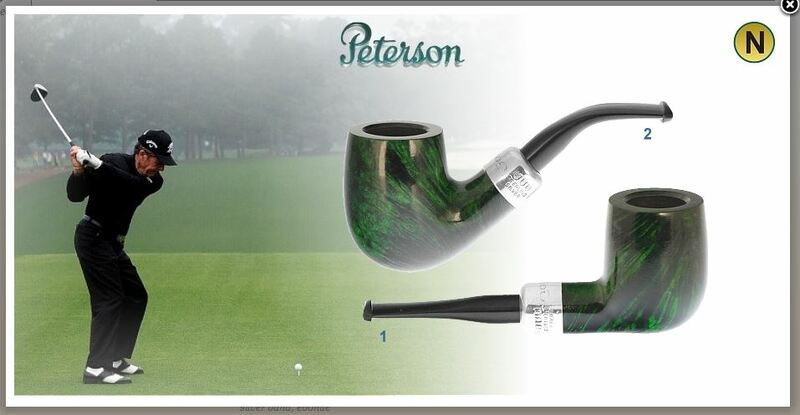 These represent the launch of the latest series of Peterson’s sports pipes, this time with full-size bowls, acrylic fishtail stems and, in the Lubinski line, sterling army mounts. 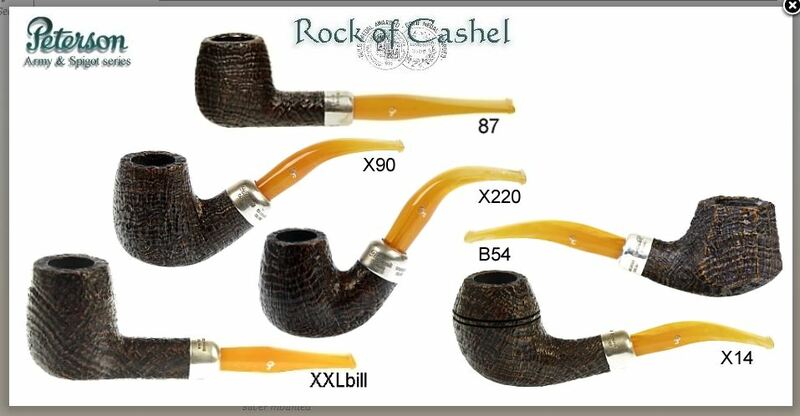 It amazes me that they smoke well, given the short stem, but they do. If you’re interested in any of the Lubinski-Peterson lines, try the retailer listed on the blog roll, or just keyword search and see what you can come up with. In the meantime, today’s the day to light your Peterson and give thanks for the comfort your pipe brings, perhaps with your favorite Peterson pipe tobacco. I wish you the joy of it. Finishing up the second draft! Music to my ears! The Lubinski specials are truly amazing. I fell in love with the natural linseed finish, but was unfortunately too late and unable to find one. However the same mistake was not to be made when I fell in love with the “fisherman” and I was lucky enough to get one for myself. The finish is truly a thing of beauty, and with its nice thick walls a beautiful smoker as well. Thanks Mark, once again, for sharing with us Pete fiends these little glimpses into the nooks and crannies of Peterson lore, knowledge and wisdom. And let me wish you a very happy St Patrick’s day in advance. 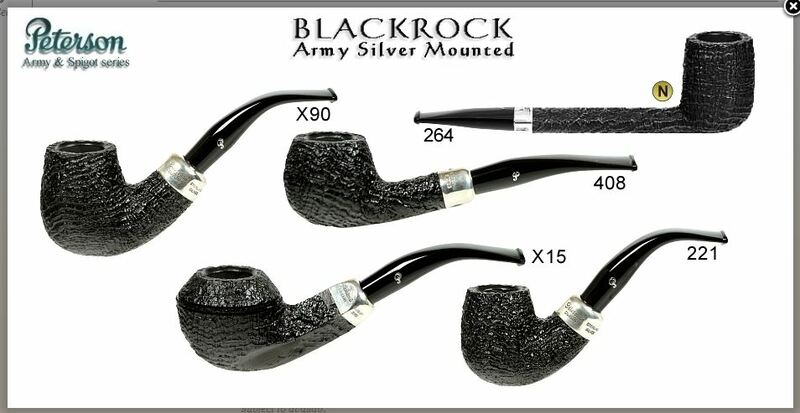 I have my 2013 B58 St Patrick’s day pipe all ready for the big day. 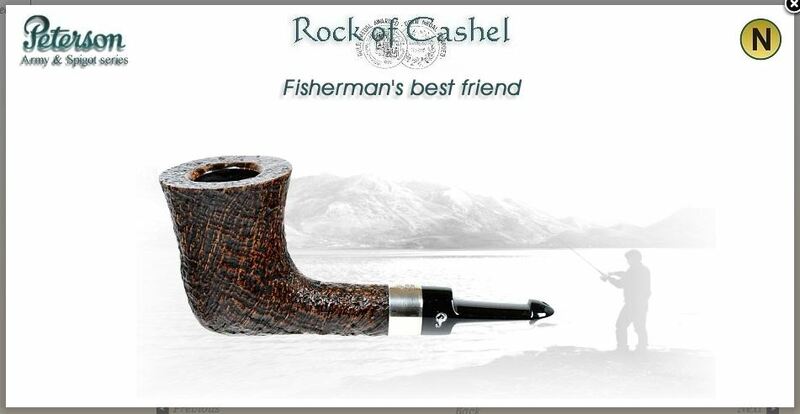 Wow, those Black Rock pipes must be like hens teeth. I’ve never seen one on Ebay, etc. I’m not surprised there are few Maigret 107’s as the 107 is quite rare anyway! Thanks Mark for all the info and all your work. 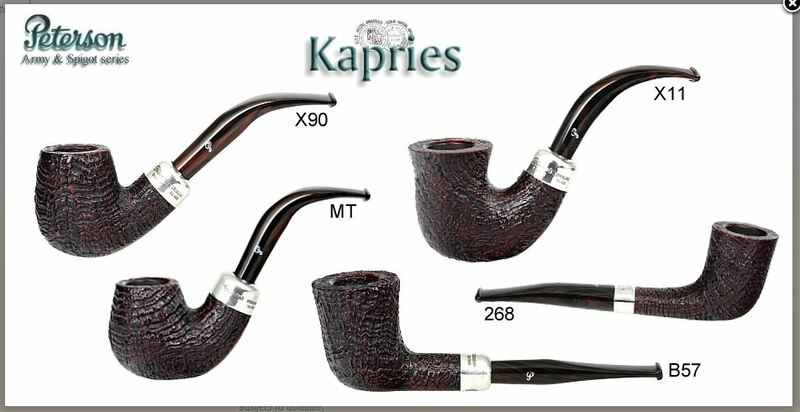 The XL90 shape is my favorite, but I haven’t gotten used to the small, slim stem with the army mount. 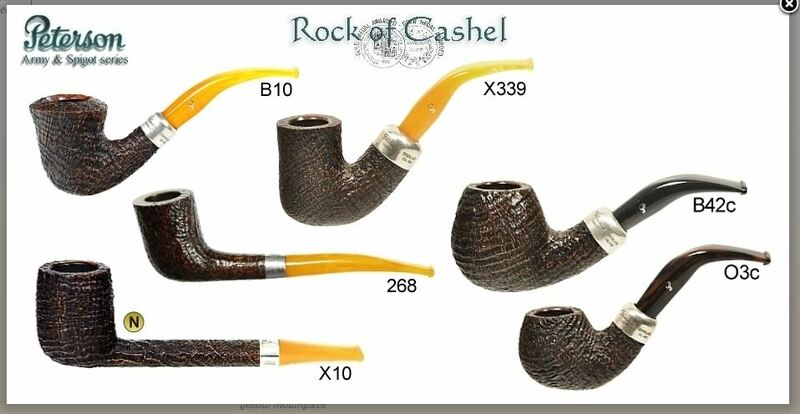 I like the 307 with the flared stem, but the Rock of Cashel above with the slim stem just seems unbalanced. I’m surprised about the Dublin being considered an ‘English’ shape. 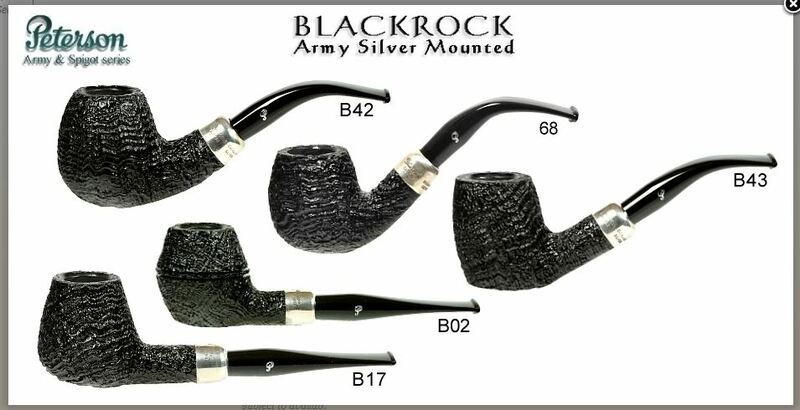 I especially like the Millenium shape, aka the B16, a nice large Dublin. I don’t smoke English mixtures in my Petersons for that reason, because the Irish have generally resented being occupied by the English! Amen to that last comment. 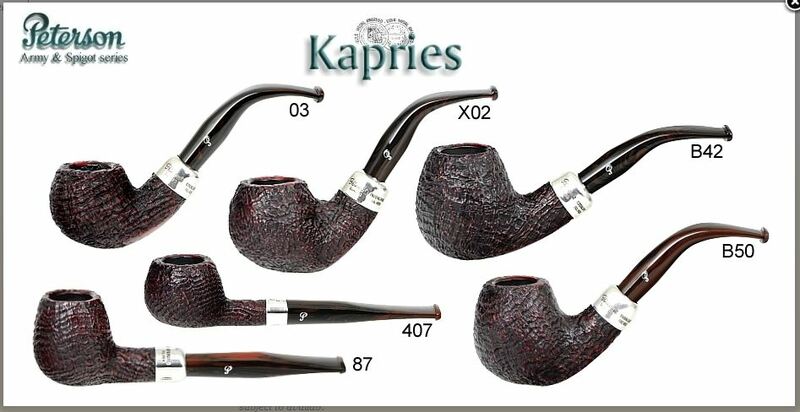 I don’t know enough about the history of pipe shapes to make a definitive statement, but the name suggests the origin, doesn’t it? 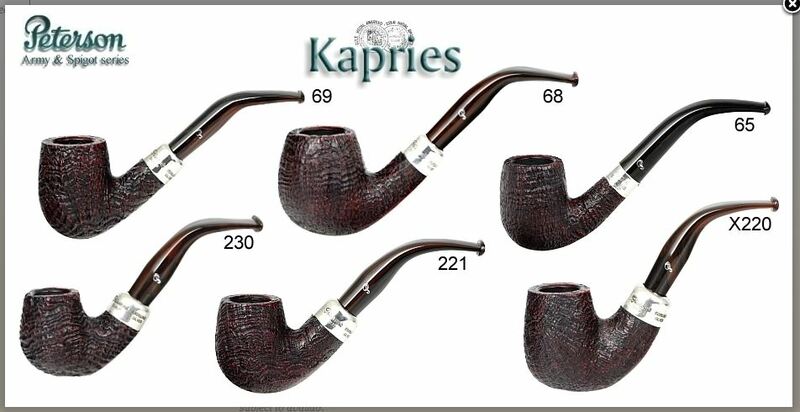 And of course, the shape has been made with multiple variations by Peterson since 1906. 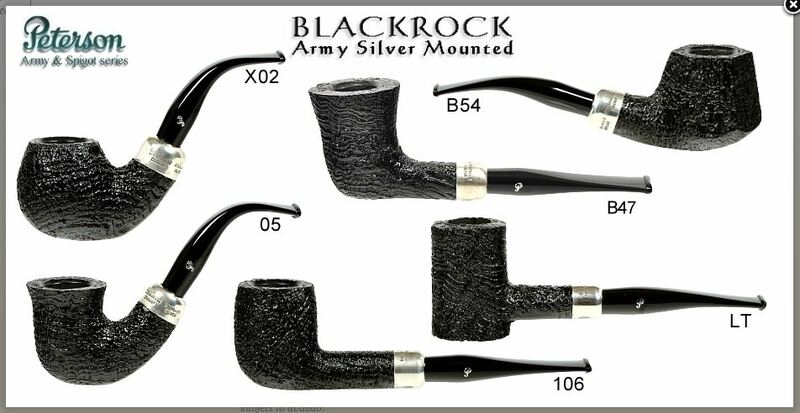 I will blog about all the Dublin shapes at some point, but I think they’re terrific smokers, better than billiards. Novelli.it currently has a broad selection of all the Lubinski – Peterson lines. Just added them to the blogroll for your convenience.